Earl's 377 not only has an amazing, relaxed atmosphere, but one heck of a staff. Friendly and super helpful, I felt at home from the moment we walked in. Chandeliers made of shovels and banjos, a great radio station, and a huge patio, this place is a must visit if you find yourself in Argyle, TX. Not sure how Earl's made such a seemingly simple dish so delicious but they hit the mother lode with these bad boys. 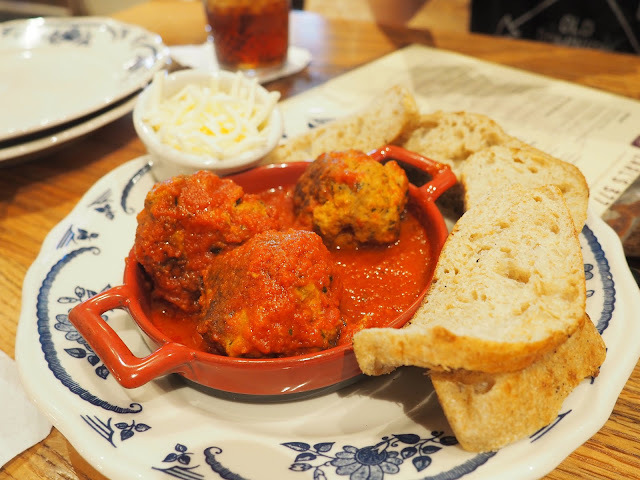 Nonna's Meatballs are slathered in marinara, typically covered in melted mozzarella, and served with bread to make your own little meatball sandwich. 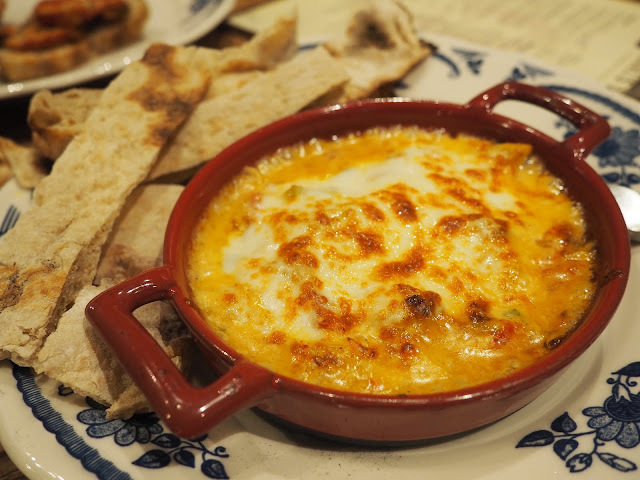 If there's anything you MUST TRY at Earl's, it's the Crawfish and Artichoke Fondue. You won't regret it. For those of you who are super indecisive, you can understand why I love a place that allows you to spilt a pizza down the middle. I chose to split mine with the Amore la Carne (covered in meat) and the Padre Island (their version of Hawaiian). The meat lover would for sure be my go-to the next time I visit. It has so much flavor packed on top, I completely forgot that the cheese was missing. I used to think that a pizza just wasn't a pizza without cheese, but my mind may have been changed. Beware though, I fully underestimated the heat of the fresh jalapeños (present on both sides of my pizza). Pretty positive my lips were on the verge of falling off from being on fire. She got the Forager and Yukon Gold, both white sauce pizzas. The Yukon Gold was surprisingly delicious. She was a little nervous about a "baked potato" pizza since the combination was unheard-of, but it surprisingly worked really well! 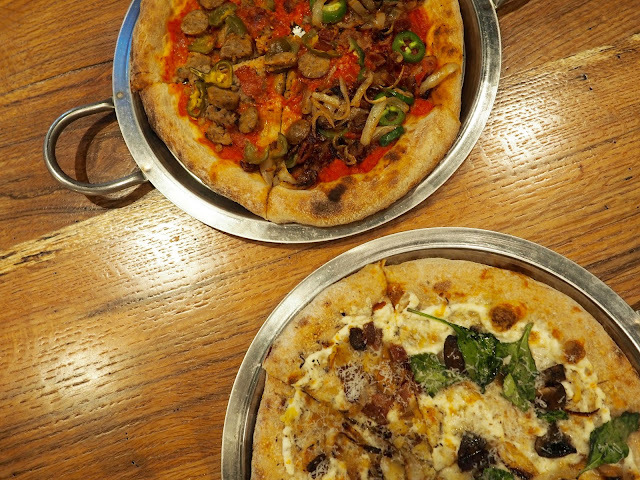 Hot tip: if you want to split your pizza down the middle with different styles of pizza, you'll have to pick two that both use either red sauce or white sauce. 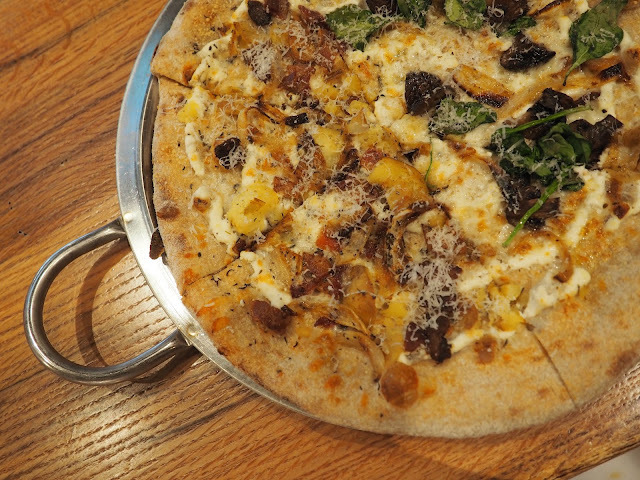 And for dessert... try the PERFECTO PIZZA! As a human who hasn't had a s'more in years, I was ecstatic when I learned that it would be dairy free. That's right people, I was in heaven. 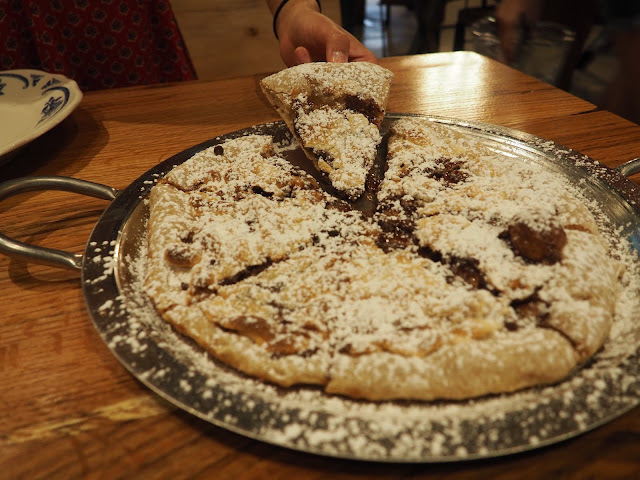 A thick layer of nutella is covered in toasted marshmallows and then sprinkled with a heavy dusting of powdered sugar. All in all, a great place to hit up with the family or a group of friends. 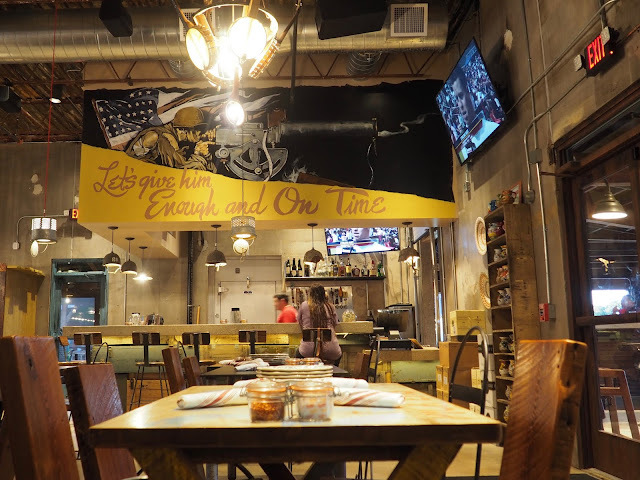 Plan ahead though, as this pizza parlor gets packed over the weekend!